The GPS/GNSS 1000 system is highly programmable. Operators can choose from a range of vehicle types, and reproduce dynamic motion for all terrestrial, space-based, airborne, and aquatic vehicles. A trajectory can be created through profile configuration, or by utilizing 6-DOF dynamic profile data collected in the field. 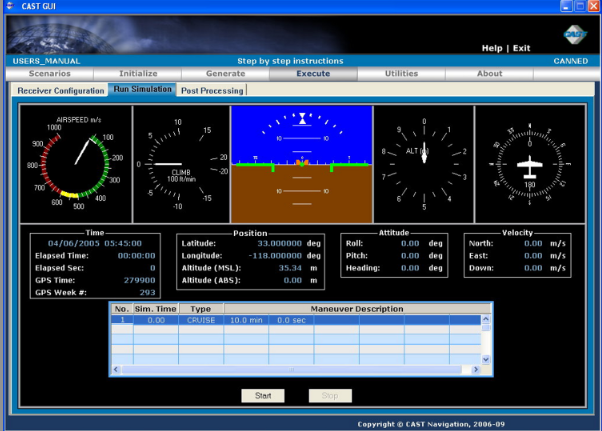 This CAST Simulator product also features a performance evaluation module, which allows comparison between raw data and filtered data the GPS navigation system provides. The module shows the true vehicle position for a comprehensive post-test analysis. Many old GPS receivers operate only on L1 frequency, and its navigation accuracy is limited by ionospheric path delay. Because the CAST-1000 is a dual frequency GPS satellite simulator, its on-board navigation accuracy is much higher than that of single frequency GPS receivers. Even though single frequency receivers can meet the basic navigation requirements for many vehicles, dual frequency is the key to the ultimate accuracy in relative and absolute navigation. It eliminates ionospheric path delays, giving operators full access to the accuracy of carrier-phase based measurements. To put it simply, the CAST-1000 is an easy to use, scenario-based instrument that combines a powerful and feature-rich platform with industry-leading value and affordability, ideal for any GPS testing requirement. 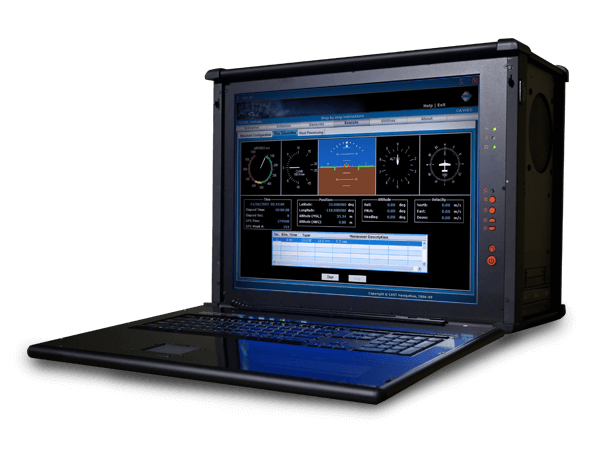 Learn more about the CAST-1000 Portable Dual Frequency GPS Simulator. Call us today at 978-858-0130.